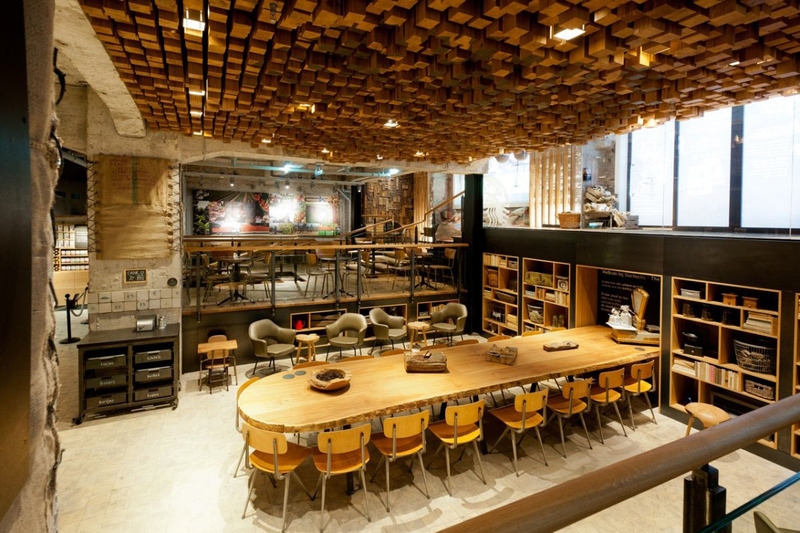 Starbucks Coffee Shop in Amsterdam is a concept store that promotes the idea of local community gathering spaces. It’s call “The Bank” because it’s located in a 4,500 sq. ft. subterranean space in the vault of a historic bank on the popular Rembrandtplein. 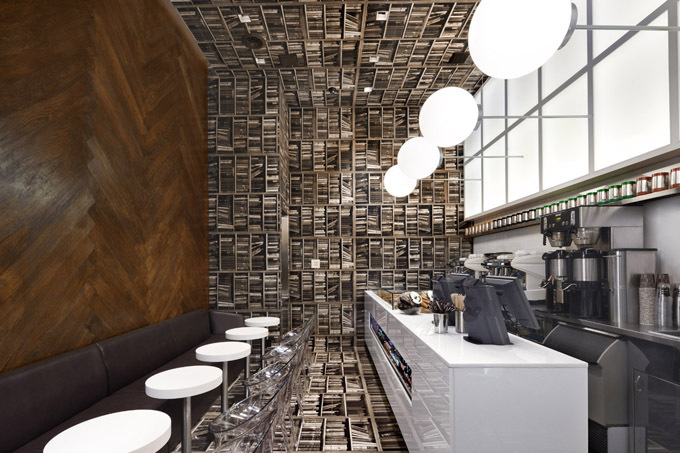 The design also treats the coffee shop as a coffee theater.